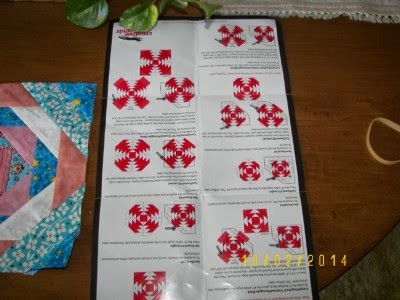 I have enjoyed numerous How-to videos on You Tube, especially those that are quilting related. I discovered Creative Grid rulers and demos of their products, and even though I don't need them, I want them all!!! So, while I already HAVE a Pineapple Ruler that works well, I wanted to try this one, because I appreciate PROCESS and SYSTEMS. These instructions look overwhelming, but one step at a time. I would recommend a practice block first, as the method itself is not the easiest, but the instructions and guides on the ruler make it accurate. Mine finished at exactly 8.5 in., as planned. 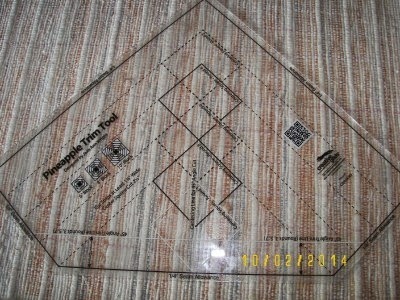 The strips must be larger then 1.5 inches, and finish at 1 inch after trimming. The nature of a pineapple block is that there IS waste, and it CAN get crooked. Scrappy, and care when lining up the ruler for trimming are good approaches. If you have one of those small suction cups to stick to your ruler, that might be helpful because there is a lot of flipping back and forth, and looking for the guidelines on the ruler, in preparation for trimming. One also needs to remember which "round" you are on. The "rounds" relate to various lines and squares on the ruler -- you can't just throw one together without some concentration. This one has 6 rounds and "ears" on the corners. 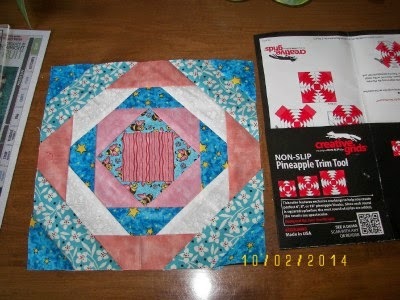 This scrappy block, my first one using this ruler, took about 40 minutes and I got lost a few times, but then decided to READ THE DIRECTIONS! If you get lost, you can review the video on line. Have fun! Nice block, Elaine! Thank you for the review, too. 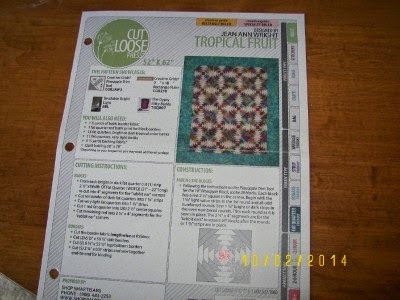 I made one large wonky (not intentionally) pineapple quilt using Empire State's easy method. I made 4 blocks and swore that I'd never do it again, LOL! Too many rounds for me. Love your pineapple block, especially the colors.